Puzzle No. 35, 36 : Tapa Variations! 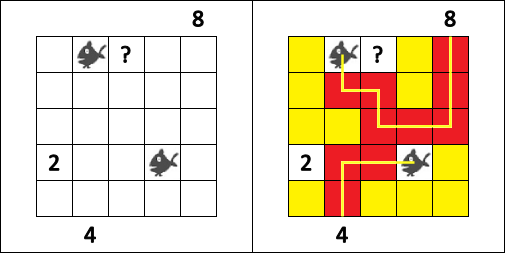 Using the Angler clues on the outside, draw paths to the fishes, these paths must be part of a connected Tapa wall, using Tapa clues inside the grid. The fish are part of the cell count for Angler clues, but not part of the Tapa wall. The wall cannot cross cells other than the Angler paths. 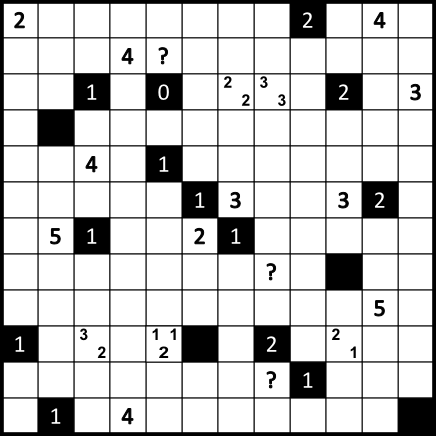 Akari Tapa – Using the Tapa clues construct a Tapa wall. 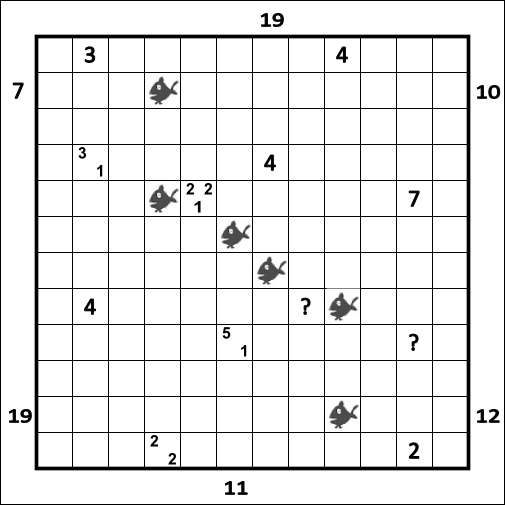 In addition, using the Akari clues, light up all the white cells. The Tapa wall blocks the illumination path of the lights. 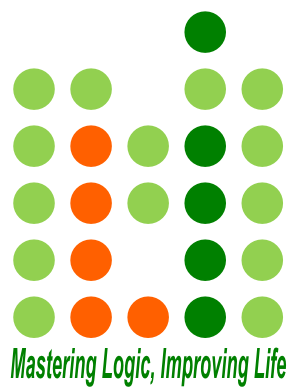 Tapa clue cells are considered as white cells, but cannot have lights in them.